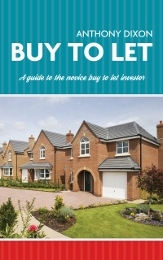 This book gives the reader a starting point for everything that needs to be considered when embarking on a property investment for buy to let. The reader will gain an insight to how the property market fluctuates, what sort of properties to buy, where to buy and how to find a property. The book goes onto explain how to get the property ready and how to manage the property for letting. Someone who is new to buy to let may feel bombarded by the information circulating around about what makes a successful buy to let investment. The book gets to the point and outlines key strategies for a successful investment.